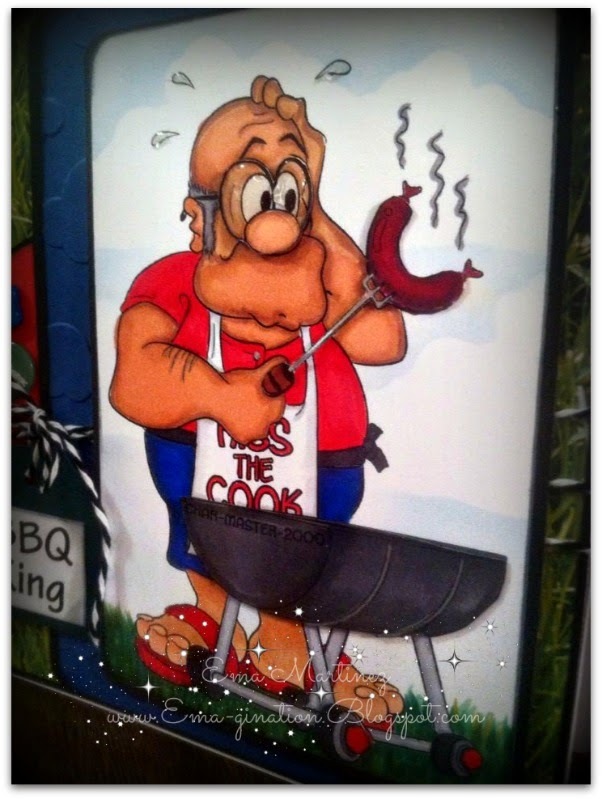 Maybe it's too early to start thinking about BBQing... unless you live in Texas! lol We saw someone grilling during our last snowstorm... which was just a couple of weeks ago! So I guess anytime is good for grilling. 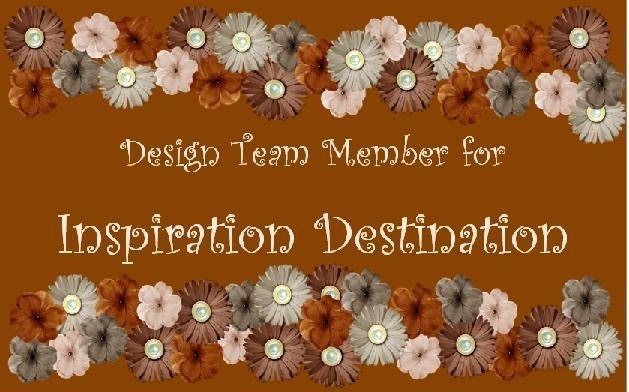 Before I go off on that, let me invite you to join us at this week's anything goes challenge at Inspiration Destination! We've two awesome sponsors. Let me tell you about one of them here and I'll tell you about the other sponsor on the next post. I don't like doing the two cards on one post. I've tried it for a couple of weeks and it's just NOT working for me. 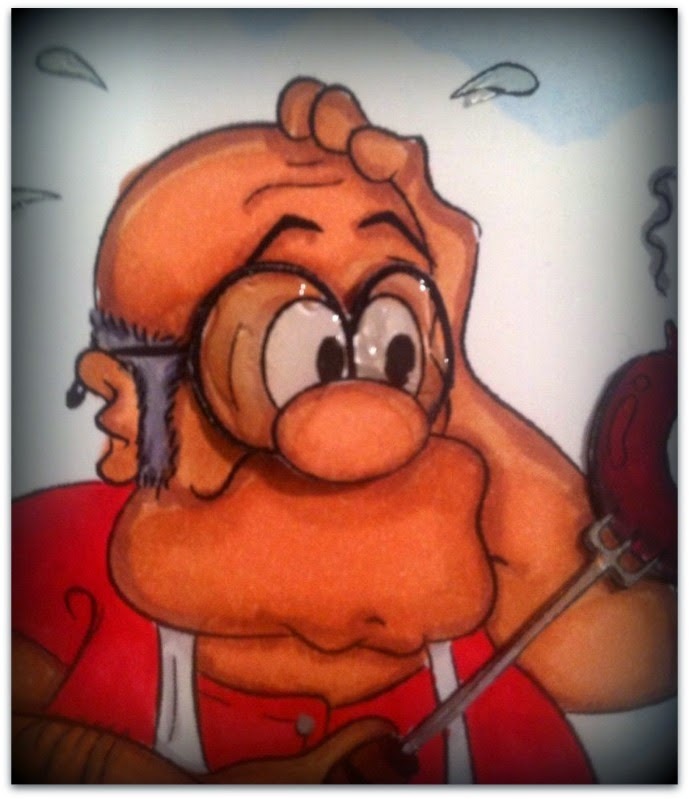 So here's my first project using a Dr. Digi image that had me going on and on about BBQing. 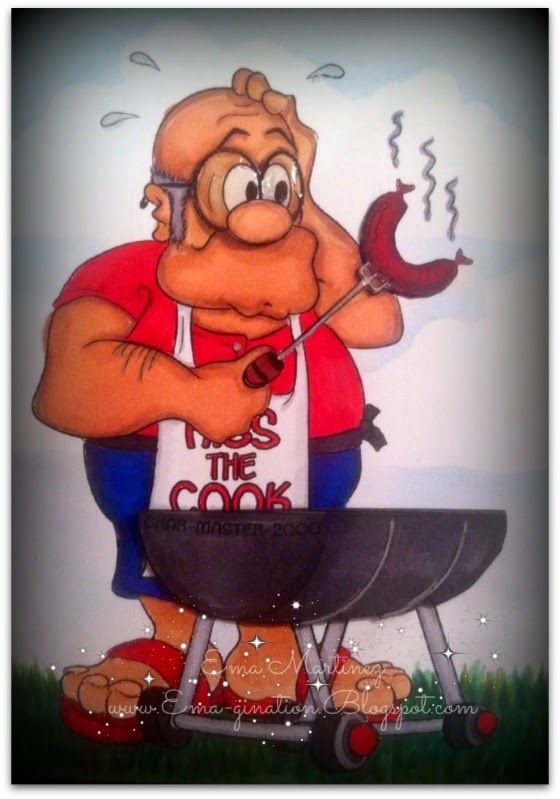 Reminds me of a nephew who loves to BBQ and tends to burn meat! Ha! Isn't this just a fun, fun image! 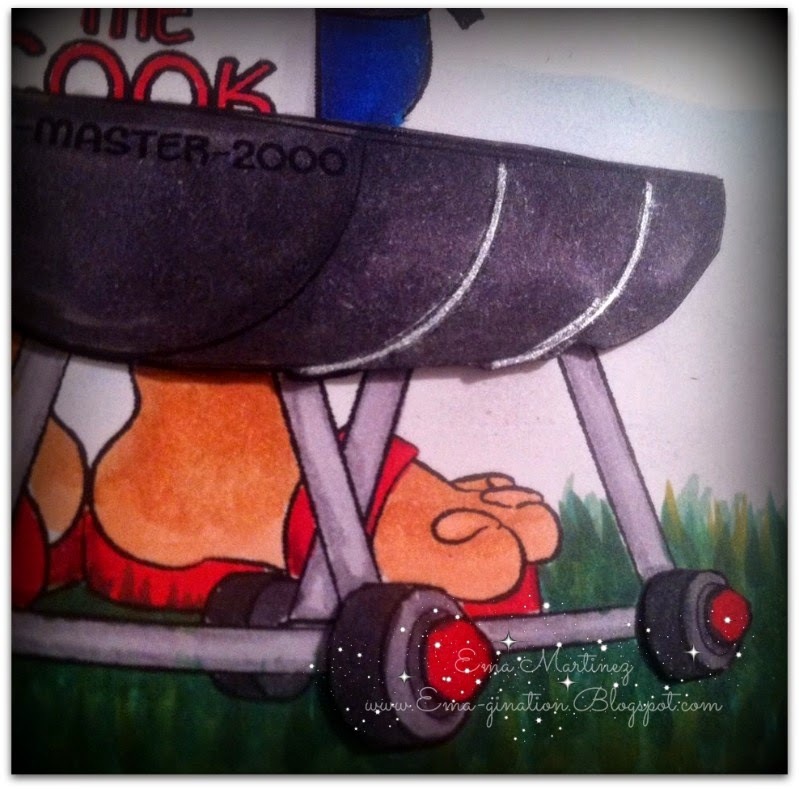 Image colored with Copic markers, silver gel pen and Glossy Accents. 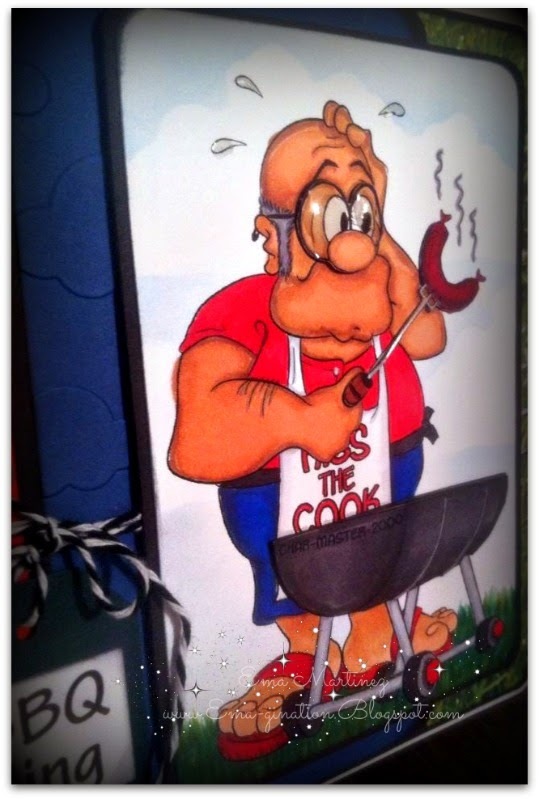 I also decoupaged the eyes, top part of grill and wheels in front and skewered meat. Digi Sketch Challenge: Humor Me! Very cool! The colors and image are terrific and I really like the grass background paper. Thanks for joining us this week at Cardz 4 Guyz. Fabulous male creation, great design, thanks for joining Stamping Sensations, good luck. 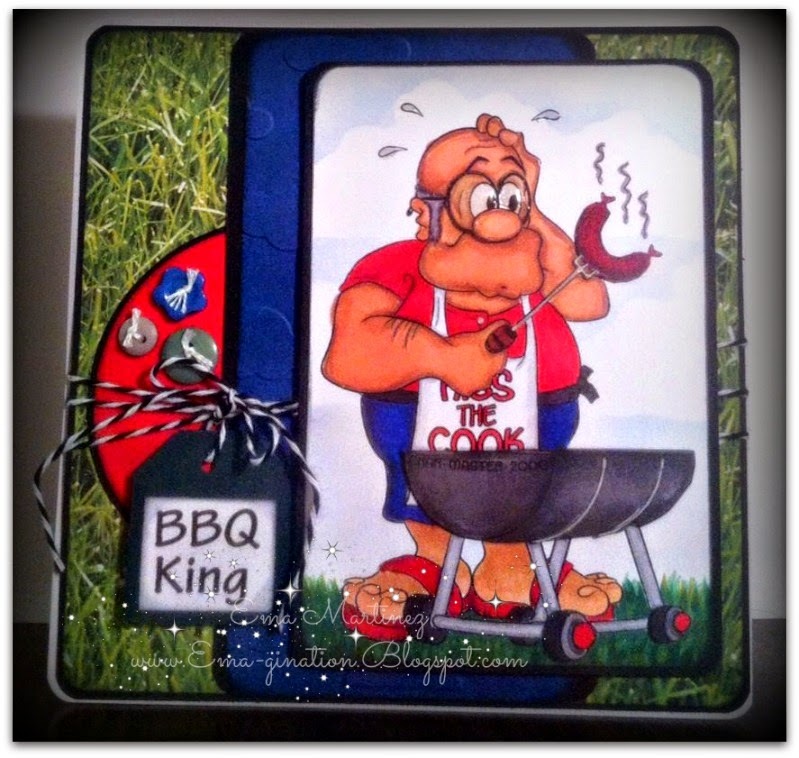 I can't wait to have a BBQ time back here in the UK, Ema - a great card design and perfect for our 'Hobbies/Pastimes' challenge over at Cardz 4 Guyz, thanx for sharing. Love it! 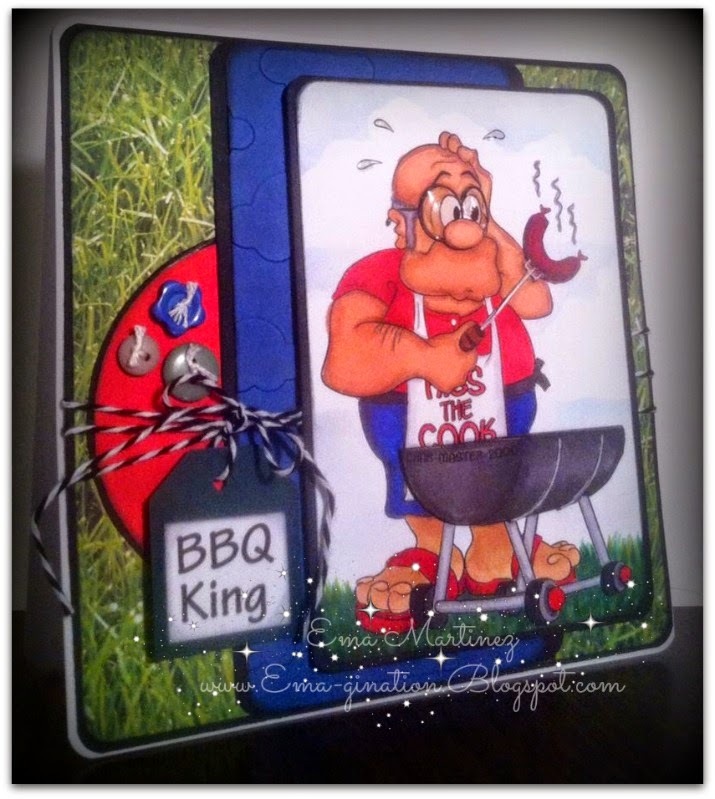 You've really brought him to life - a great card and perfect for our challenge. Lovely coloring, and I love the glossy accents on the glasses.